Scientists at the European Southern Observatory (ESO) have uncovered strong evidence that a supermassive black hole lies at the centre of the Milky Way galaxy. Using the observatory’s GRAVITY instrument on the Very Large Telescope, scientists observed flares of infrared radiation coming from the accretion disc around the massive object at the centre of our galaxy. These flares provide confirmation that the object, named Sagittarius A, is a supermassive black hole – with the flares orbiting near the black hole’s event horizon. “It’s mind-boggling to actually witness material orbiting a massive black hole at 30% of the speed of light,” said Max Planck Institute for Extraterrestrial Physics (MPE) scientist Oliver Pfuhl. 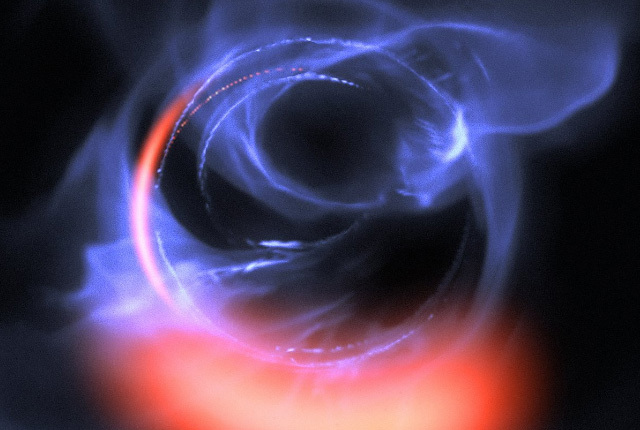 ESO has released a visualisation of these flares orbiting the supermassive black hole at the centre of the Milky Way.